A fire broke out at the Cathedral of Notre-Dame in Paris on April 15, Monday evening which severely damaged its roof and destroyed its spire. The fire began at about 6:30 p.m and the video of it burning into flames went viral on social media. It was after nine hours that the fire was under control but it damaged the iconic cathedral completely. While no casualties have been reported, a firefighter has been severely injured. 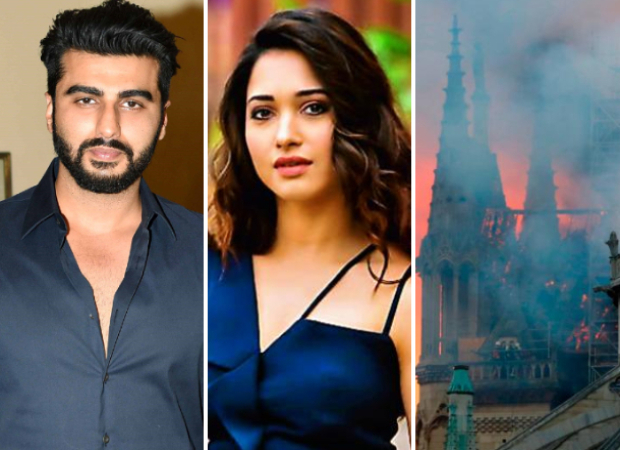 Bollywood celebrities like Arjun Kapoor, Boman Irani, Tamannaah Bhatia, Nimrat Kaur among others reacted to the Notre Dame Fire and send love and positivity towards the people of France.